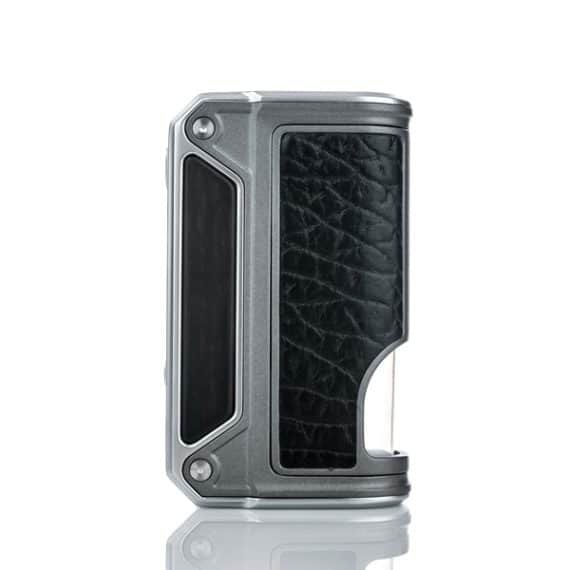 Authentic DNA75 Chip | 75W | Fully Loaded Temp Control Suite Evolv is know for. 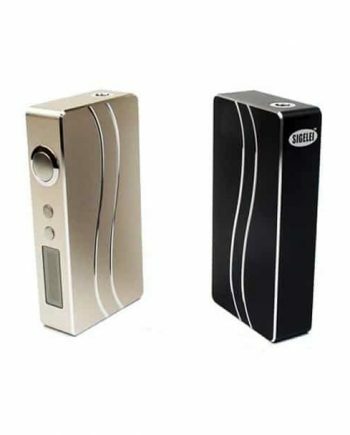 One 18650 Battery for unparalleled convenience! Bottom Feeder Design makes dripping easy. Designed in The United States by Lost Vape, the Therion BF uses an authentic DNA75 chip. 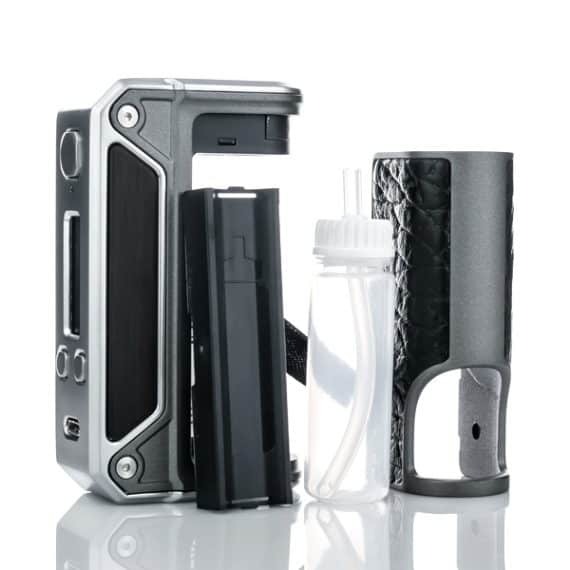 Known for American made quality, Evolv offers a 1 year warranty on all Evolv chipsets, including the DNA75 chips. 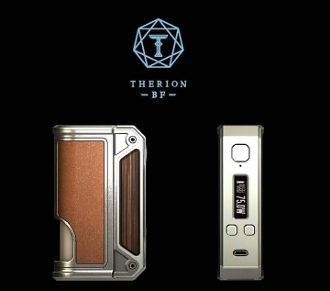 Unlike most DNA75 devices, the Therion BF uses a new Bottom Feeder design, giving you the benefits of dripping, with the convenience of a tank atomizer. 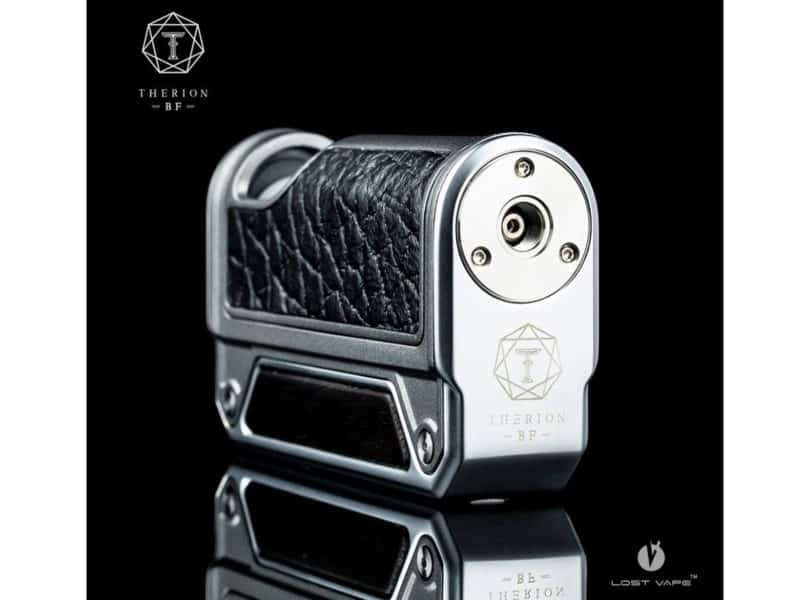 Intuitively ergonomic and extremely classy looking, the Lost Vape Therion just fits right in your hand and the Authentic Leather Paneling sets this mod apart from the crowd. Strong magnetic battery door. The new Bottom Feeder design allows juice to flow through the center of the hollowed-out 510 pin from the bottle. 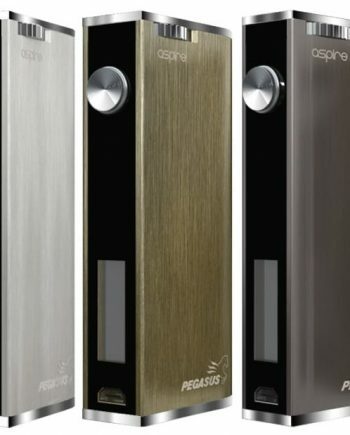 This squonking design provides the best of both worlds. 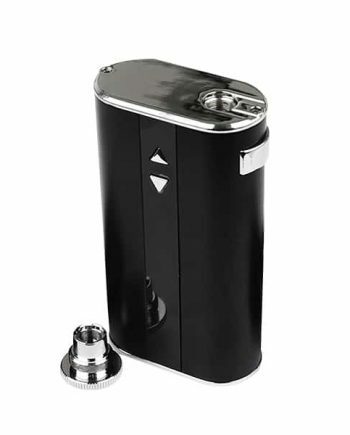 The unparalleled flavour that a dripper provides, with the convenience to last all day, without having to manually drip after every few inhales. 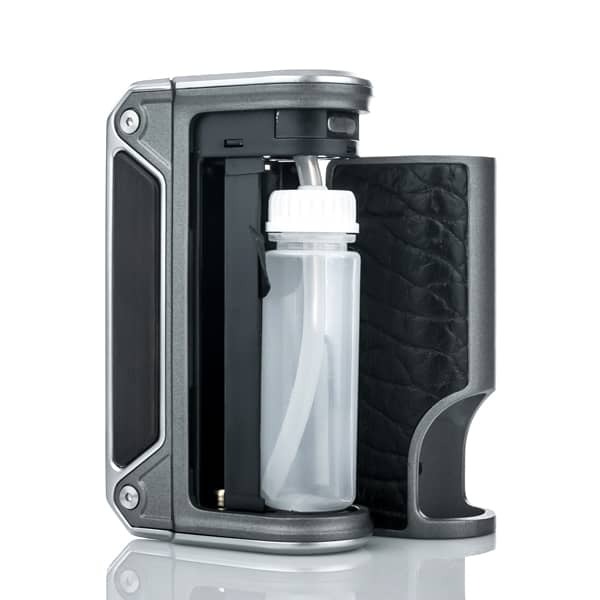 Convenient 11mL bottle capacity with a secure clip in design to hold the bottle securely. Temperature Control mode (requires the use of Temperature Control Coil). Built-in Over-Heating Protection. Future-proof upgradeable firmware. Tweak and fully customize your settings. Create multiple Custom profiles. Front USB charger. USB Cable included. 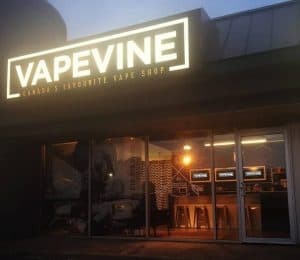 VAPEVINE STAFF TIP: Vapevine.ca Stronly Recommends the use of an External Battery Charger when charging external 18650 cells. 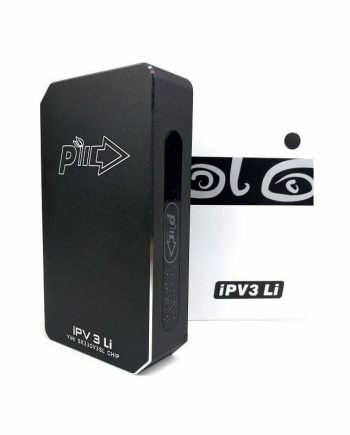 An external battery charger provides the fullest, even charge allowing your cells to perform at peak performance. Requires one (1x) removable flat top 18650 high amp batteries (sold separately).